Business owners often underestimate what's involved in the negotiating of these deals. Many think it's just about finding a price that works for both parties. Or worse - they think the negotiator is going in there to get them the "highest possible price". However, price is but a very small part of the equation! A typical negotiation for a £2 million sale could be spread over several days and involve agreeing not one figure but dozens of them! These range from the amount of working capital and cash and debtors and stock and other assets to be left in the business on the day of transfer ... to what interest rate buyers will be paying on the deferred payments ... to the extent of VAT, corporation tax etc., that should be paid by the seller to the buyer to cover HMRC liabilities up to the date the business actually changes hands. Need someone to negotiate a deal for you (either as buyer or seller)? Get in touch with me and if I'm not free to do it myself I could recommend some very competent negotiators. The headline price itself is meaningless when not accompanied by the rest of the deal's terms. Sometimes there are 50 - 100 such numbers to be negotiated! And they are often inter-related i.e., a lower figure in one place opens the opportunity to negotiate a higher figure elsewhere. 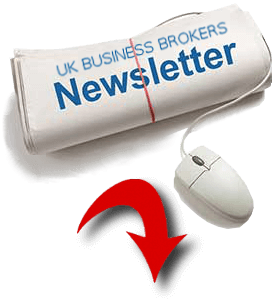 I explain "deal structure" in my article offering to buy your business today for double whatever valuation you've been given for it. 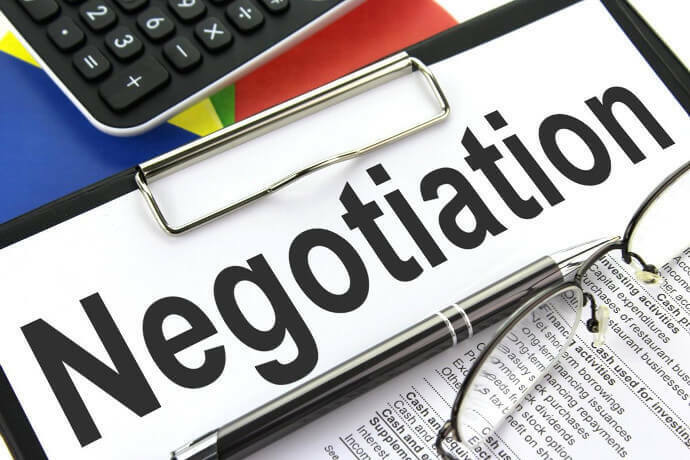 Apart from negotiating of numbers, there are various terms that need to be negotiated as well. There cover operational, employment, intellectual property, liability, collateral, indemnity and other issues. 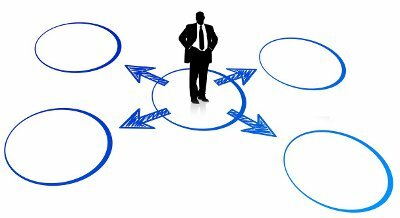 A successful negotiation for the sale of a business ends with both parties having a clear idea on the various numbers and terms. This oral agreement is then drafted into a document called the Heads of Terms (HoT) for both parties to sign. This draft HoT doesn't always have a smooth passage. It is often the case that further negotiation and clarification is required after parties have seen the draft HoT and done the necessary running of the draft past their accountant / tax adviser / lawyer. But once the HoT is signed the buyer can instruct their lawyers and accountants to start the due diligence process. 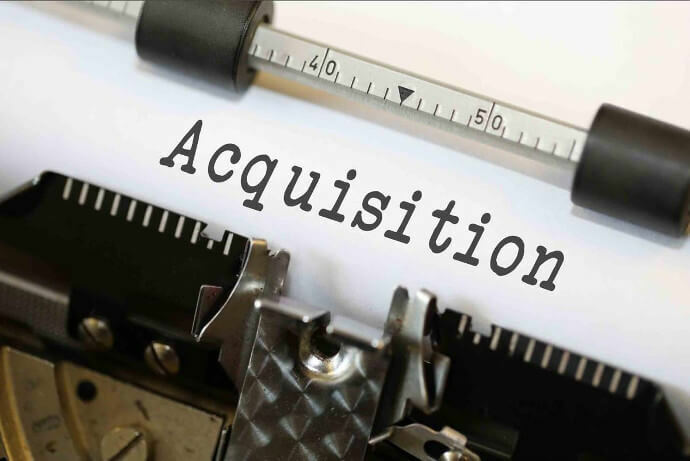 To present a better idea of the kind of numbers involved in a typical negotiation, I provide below a case study of a four day negotiation I was involved in for the sale of a business that was worth, let's say, roughly £3.4 million. And this was a relatively simple negotiation as negotiations go! ​The Company: My clients were shareholders of a company, let's call it Acme Ltd, that was turning over circa £5m per year and generating a pre-tax profit of £850K. It was owned by Mr A and Mr B. The shareholders and I came to the conclusion that the asset base of the company (the net assets) was higher than that of similar companies and that this needed to be reflected ​in the deal. ​ Acme Ltd had no borrowings except for a £400K loan from one of the directors. There was also a high cash balance in the business of circa £750K as a result of shareholders not taking out large dividends in previous years. The headline price: The sellers were not fussed about headline price as they realised that these deals are about the terms of the whole package rather than a particular number. The "cash" element: As with most sellers, Acme Ltd's shareholders had a preference for cash ie., they wanted 100% of the price to be paid into their bank account on the day of the transaction. But they realised that deals of this size are almost never all-cash, part of the price is always paid later. Further, they appreciated that the larger the amount they were willing to defer, the higher the overall price they could expect. The sellers and I had extensive discussions around this point and the extent to which any cash sacrifice they made would need to be compensated for by a larger overall price. So, for example, if buyers were able to pay £2m in cash, the sellers were willing to take a total price of £3.4m (with £2m in bank transfer on the day and £1.4 million deferred). If buyers were able to put up only £1.5 million in cash, the vendors were expecting a total price of £3.6 million (£1.5m in bank transfer on the day and a further £2.1 million in deferred payments), the additional price being a compensation for offering a larger deferred element. The minimum cash component did also need to be agreed and the vendors in this case set a threshold of £1.2 million. The non-cash element: If part of the price is being paid via shares in the acquiring company or other such not liquid asset, I explained that each form of such payment would need to be discussed individually with Acme Ltd's shareholders as there are various implications for taking such illiquid assets in payment and they would need advice on a case by case basis. For example, if offered shares in a larger (unlisted) company Acme Ltd's shareholders would end up as minority shareholders in that company and would likely have difficulty selling those shares if they ever wanted to convert them to cash. Further, taking shares in an unlisted company requires a careful look at the strength of the company, getting a valuation for that company (to know the value of the shares they're being offered) and drawing up a new shareholder agreement (to protect A's and B's rights as minority shareholders in that larger company). All of this costs money - more than a grand or two on lawyers - and part of the negotiation would involve agreeing who'd pay these costs! A and B preferred to sell to a large, well established company in their sector as they felt such a sale to a trade buyer would result in the highest value for the buyer and the highest value extraction for them. However, the biggest acquirers, the large and well established companies that can pay the highest price, almost often prefer to pay part of the price using their own shares! So I advised A and B that they would need to expect part of the offer to be shares based. The deferred payment: The size of the deferred payment would be affected by the above elements, but the terms of the deferred payment - the duration of the "loan" from seller to buyer, the interest rate for that loan, the format of repayment (whether payable in monthly installments or at a fixed future date) and other matters related to repayment were discussed between the sellers and me and thresholds were agreed. Security for the deferred payment: As buyers typically require full control of the business from the day of the sale, it leaves the sellers in a vulnerable position in that they have handed over 100% of the value but received only part of that value - the cash element (and/or acquiring company's shares) - in hand. The outstanding amount needs to be covered by adequate security. Security in these situations can range all the way from 100% secure treasury bonds or a bank guarantee ... to the buyers providing a charge on fixed assets such as their family home ... to the buyers offering personal guarantees. Some buyers might attempt to offer a debenture on Acme Ltd itself as security. I explained the flaws with some of these securities - such as the debenture - and got a feel for what level of security would be acceptable to the sellers. In the event it turned out that they wanted at least 75% of the loan to be covered by very high quality security. They understood my explanation that if they require very high quality security it limits what some buyers are able to offer as they might not be in a position to deliver security of that quality. We also discussed that it's difficult to judge the value of security such as personal guarantees. Prior to accepting personal guarantees one needs to verify the quality of the party offering the guarantee. It would require a credit search on the individual/s at the very least. And there is a cost to getting lawyers involved in drawing up the documents necessary for any such form of security - because whatever the security, from debentures to personal guarantees, you need a properly drawn up contract when big monies are involved! The Heads of Terms, when drafted, would need to include clarity on who'd be paying these costs, so this is an item that forms part of the negotiation. Takeaway: Typically, the lower the value of the security being offered by buyers, the higher the risk the sellers are shouldering and the higher the price they can reasonably demand. ​Debt Free Cash Free Deals: I explained DFCF to the vendors and the implications of a share sale vs asset sale (and there are various tax and other implications for choosing one over the other). We discussed what they'd prefer - it was a share sale - and how much of a "concession" a buyer would need to make if the buyer wanted my clients to agree to an asset sale instead. Value extraction prior to sale: My clients wanted to know if they'd be able to extract all the surplus cash before selling the business. And whether they could reduce some of the debtors ie. call in those debts and withdraw that cash as well. This is a tricky matter. While all the cash is not required in the business, in these situations the fact remains that you'll have given prospective buyers copies of your last accounts. And those accounts would have included this cash balance. 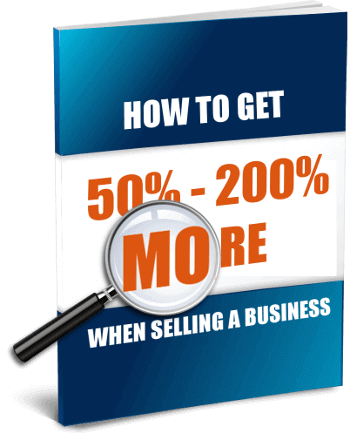 Buyers would see that as a legitimate asset of the business and not money that belongs to you the owners. Besides, a certain amount of cash, or "working capital" does always need to be retained to cover day to day expenses. If the vendors do want to withdraw this case there are various implications. For one, there's the tax! I advised that they'd probably have to withdrawn the cash as dividends. But dividends attract dividend tax and, given the high cash balance here, they would be paying dividend tax at the highest marginal rates. There is one advantage they have - the director loan account. As the company owes one of the directors £400K, that £400K could be drawn without any penalty or tax. Further it would not affect the net asset figure in the balance sheet which means buyers are generally not going to object to such a move. However, extracting more than £400K would cause a problem as it makes the company less attractive to buyers. I discussed various options with my clients and gave them suggestions including a simple and common one involving getting full Entrepreneurs Relief on that cash​ (ER drastically cuts the Capital Gains Tax payable). ​The above is just a very small selection of the numbers and terms a business broker negotiates in a typical transaction. If there's the possibility of an "earn out" that's a detailed discussion in itself, as is the future involvement of the owner (generally speaking, the longer the owners are willing to stay the higher the price they can expect). Then there are discussions to be had around warranties and indemnities - the more the vendors can reduce "risk" the buyer perceives in the transaction the higher the price they can expect in exchange. ​Further research: ​These two free PDFs offer plenty of slow and boring reading: 1 | 2.